Montgomery County health inspectors rarely order eateries to close, but they do dole out plenty of citations and threaten to issue fines if a business doesn't address sanitation concerns. We looked at restaurants that received seven or more serious violations last month or those that temporarily closed due to fire or when fire suppression equipment was discharged. Every inspection is generally regarded as a "snapshot in time" and not necessarily a reflection of day-to-day conditions. Most violations were fixed immediately on site in the presence of an inspector. 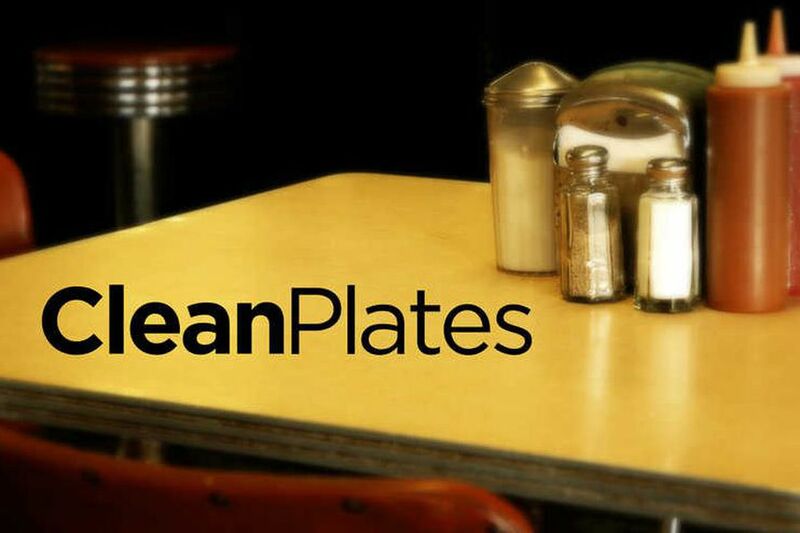 To look up reports on a specific Montgomery County restaurant or a Philadelphia, Bucks or Gloucester County eatery, or read more in the Inquirer's Clean Plates series, visit philly.com/cleanplates. Visible mold on cheese in walk-in cooler; debris on fan guard in retail beer cooler and on floor below cook's line; mold on door gasket of walk-in cooler; raw eggs stored over ready-to-eat food items in work top cooler; insect control device hanging from faucet at three basin sink at bar; hair restraint lacking for food handler; no thermometer in retail beer cooler and two door bar cooler; potatoes for French fries and bottled sauces were stored on the kitchen floor. Montgomery County Health Department will conduct a re-inspection on or after Oct. 12 due to number of violations and repeated violations. Inspected on Sept. 28. Raw marinating chicken not covered in walk-in refrigerator; foods not covered in storage; unwrapped partial loaf of lunchmeat in direct contact with packaging of another product in freezer; bulk ingredient lid with wide crack, employee beverages not in cup with lid and straw and placed on food prep surface; a can opener blade and mechanism found with dried accumulation; a bowl of sliced lemons was stored in contact with ice for beverages; mop and mop bucket stored outside rear of facility. Should facility not be in compliance at the time of re-inspection they will be required to attend an administrative conference and will receive an additional re-inspection. Inspected Sept. 28. Raw chicken and raw shelled eggs inappropriately stored in prep units and walk in refrigerator; an employee meal was found on the prep table in the kitchen; personal items stored on dry storage shelf; food slicer on shelf under prep table was unclean; a scoop lacking handle was stored in bulk food containers; outside trash dumpster lid open. Raw vegetable stored next to and in contact with raw swordfish in plastic bag; mold accumulation on interior walls and ceiling of basement ice maker; improper thawing method observed on raw frozen portions of tuna steaks in walk-in refrigerator and not removed from cryo vacuumed packages; can opener blade and soda gun nozzles were unclean; unlabeled chemical spray bottle found in ware wash area; fly glue stick hung above food prep slicer area; food handler lacking hair/beard restraint. A follow-up inspection has been scheduled to ensure compliance of violations that are unable to be corrected at time of inspection. Inspected on Sept. 21. No faucet handle for hot water or cold water in the kitchen hand sink; raw shrimp and beef stored over the produce in walk-in refrigerator; absorbent linen material found on top of prepared sushi rice and container to scoop bulk foods; no ambient thermometer for one-door condiment storage refrigerator under sushi bar counter; food boxes and packages stored directly on the floor of walk-in refrigerator; ice cream scoop stored in stagnant water; establishment freezes salmon for raw fish consumption on site and the packages did not have freezing dates. Facility heats and hot holds breakfast sandwiches and items, other than hot dogs, on a hot roller; cigarette butts and ashes found on floor below three basin sink; rodent droppings found in cabinet under sandwich hot holding unit; debris on floor below shelves in walk-in cooler; frost build-up found around door, on shelves and inside the walk-in freezer; facility lacks a probe thermometer to take internal temperatures of food; hot sandwich held at inappropriate temperature;tThe water sensor is broken on restroom hand sink. Montgomery County Health Department will conduct a re-inspection on or after Oct. 6 due to number of violations and repeated violations. Inspected Sept. 22. 19 violations; 8 food-borne illness risks. Tylenol stored on shelf at salad prep unit; the can opener piercing point, inside of wait staff ice machine, a food cart in the walk-in refrigerator and a food slicer splash guard were unclean; food items throughout refrigeration stored in open original cans; a food container was stored directly on the floor in walk-in refrigerator; a scoop lacking handle stored in bulk dry goods in dry storage area. Facility was scheduled for a re-inspection on or after Sept. 26. Inspection on Sept. 12. Employee beverages lacking cup with lid and straw was stored over food prep refrigerator; food stored in non-food grade bags in walk-in and dry storage; dust hanging from walk-in refrigerator fan guard; scoop for cooked rice with tape on handle; oil squeeze bottle wrapped with paper towels at cooks line; menu lacking consumer advisory for raw or under cooked food items. Facility was scheduled for a re-inspection on or after Sept 25. Inspected on Sept. 11. No soap at hand sink entrance to kitchen; employee beverage stored on food prep surface; chicken and shrimp stacked above cold line basin along cook line equipment and a container of sprouts on counter found at inappropriate temperatures; back exit door to outside propped open; cell phone stored near food related items; frost build-up walk-in freezer; floors under cook line equipment unclean. Facility was scheduled for a re-inspection on or after Sept. 25. Inspected on Sept. 11. Food slicer unclean; food items held in two-door reach-in unit at back prep area at inappropriate temperatures; open packages of lunch meat stored in four-door reach-in unit lacking date marking; chemical spray bottle at waitstaff area lacking label; floors under cook line unclean; the two-door reach-in unit was not at a proper temperature; the refrigeration unit in customer seating area did not have a proper separation/lock; high temperature dish machine need to be repaired. Brisket in steam table was not held at the required temperature; facility lacked sufficient thermometers for taking temperature of various Kosher Foods; containers of food on floor in walk-in cooler and walk-in freezer; utensils stored in stagnant water along cooks line; food handlers lacked beard/hair restraints; food prep sink plumbing was leaking into basement near dump sink; facility lacking variance for smoker in back of building; raw shelled eggs were found over ready-to-eat food items in walk-in cooler. Facility is scheduled for a re-inspection on or after Oct. 9. Inspected on Sept. 25. Milk had expired sell by or use by date; food uncovered throughout refrigeration units; can opener blade and interior of the microwave were unclean; dates were not marked on food containers in refrigeration; food handler lacking hair/beard restraint; wet wiping cloths not stored in a sanitizing solution. Facility must correct and maintain all noted violations. Inspected Sept. 25. Employee beverage not in cup with lid and straw; sauce made by facility held past seven days; foods, including pulled pork, held at inappropriate temperatures; license not publicly posted; warewashing machine did not have the appropriate amount of chlorine during final rinse. Mice droppings found on the dry food storage shelves in basement; vacuum packaged frozen minced tuna and tilapia were thawing in original packaging condition in sushi bar reach-in refrigerator; no date markings on prepared foods, including cooked egg rolls, BBQ meats, cooked chicken morsels, that were held at the establishment for more than 24 hours and required refrigeration; raw meats and shelled eggs were stored over the prepared sauces and produce box in walk-in refrigerator; rice scoop stored in stagnant water and knives stored in crevices of prep table and cold prep refrigerator; exposed food containers in two-door reach-in glass door refrigerator in kitchen, food containers stored directly on the floor in basement storage area and at sushi bar. Due to the numerous repeated out of compliance items and newly observed out of compliance items as observed during the most recent inspection, establishment required a re-inspection on or after Oct. 4. Inspected on Sept. 20. Employee beverages not in cup with lid and straw; employee observed eating in food prep area; bar hand sink lacking soap and paper towels that bar employees must use when working; numerous chemical spray bottles lacking label; a container of sauce was cooling improperly; single use containers washed and re-used; glove tied to slicer blade cover; holes / gap around floor drain near beer walk-in refrigerator. Mold on the surface of cheese block stored in deli display refrigerator; sliced tomatoes and lettuce stored at improper temperatures in sandwich prep refrigerator for unknown duration; no date markings on opened packages of variety of deli lunch meats and cheese between the change of ownership transfer; no labeling on commercially prepared fruit cups in bottom of display refrigerator; sandwich prep refrigerator did not maintain required temperature. Colander of cooked chicken stored on re-used cardboard egg container in walk-in cooler; raw meats stored above ready to eat sauces in walk-in cooler; one heavily dented can observed on dry storage shelf; date markings lacking on prepared foods in walk-in cooler; garlic in oil stored at room temperature at cook's line must be marked; food containers stored on floor in walk-in cooler and walk-in freezer; single use containers without handles used as scoops, and stored in contact with product, in bulk dry storage containers. Facility must correct and maintain all violations. Inspected Sept. 12. Pint of Half & Half observed past date; raw fish found at meat walk-in and eggs in produce walk-in; employee beverage lacking lid stored on shake blender at waitstaff station; open loaves of lunchmeats lacking date marking; cigarette pack stored in box with raw agricultural product; foods at salad bar found at improper temperature; ice accumulation in walk-in freezer from refrigerant pipe; various strings etc. used to hang or support items throughout kitchen; shoes and a hat were stored next to foods. employee beverages lacking lids and straws in prep areas, including in basin of hand sink; raw chicken stored above ready to eat foods in walk-in cooler; wings were not held at appropriate temperatures; date markings lacking on prepared foods in walk-in cooler; sandwich/salad prep cooler not holding correct temperature; prepackaged desserts in Coke cooler lack labels with all required information; food items stored in opened original cans; food items stored in grocery style bags with dye in walk-in cooler; food items stored in re-used cardboard boxes in prep cooler and one door reach-in freezer in storage closet; food boxes stored on floor in storage closet. Facility must monitor temperature of pizza prep cooler to ensure proper cold holding at all times, including peak hours. Facility must correct and maintain all violations. Inspected Sept. 12. Raw shelled eggs inappropriately stored in the walk-in refrigerator; facility lacking time log for prepared pizza; cut garlic stored in oil at prep table with improper internal temperature; food slicer on prep table unclean; food container stored directly on the floor in walk-in refrigerator; food handler lacking hair/beard restraint; outside trash dumpster lid open; raw wood palate stored under ware wash sink for chemical storage; dust build up on vent cover at waitstaff area; personal items stored on dry storage rack. Montgomery County Health Department license expired; food in steam table not holding appropriate temperatures; date markings lacking on secondary containers in walk-in cooler; chemical spray bottle stored next to clean cups; no accurate thermometers in cooks line cooler; back prep area hand sink near oven is blocked; Employee jacket and bag hanging from food storage shelf; dumpster lid open at time of inspection. Sugar packets were stained; microwave was unclean; General Tsaos sauce and fruit not refrigerated; yogurt not held at proper temperature, chemical cleaner found on prep table; fly in back storage area; cornstarch, corn meal, pecans, and cake batter were stored in open not sealable containers; floor drain behind ice machine, floor drain in front of cooks line and the side of the fryer were unclean. Facility must correct and maintain all noted violations. Inspected Sept. 11. Restaurants that were closed after a fire or when fire suppression equipment discharged. The facility closed on Sept. 22 after employees used chemicals to bomb for fruit fly in the basement and accidentally set off the fire alarms. All food related equipment, utensils, food prep surfaces floors, walls, and ceilings have been clean and sanitized after the incident and the restaurant reopened. All any single service items and take out containers were discarded. The Montgomery County Health Department granted permission for facility to reopen contingent upon all other local approvals. On Sept. 21, the health department was called to the facility after oil was poured on hot coils in the fryer and a fire suppression system was activated. The fryers on the cooks line that are used to fry hash browns and French fries were affected.The French fries were discarded and the restaurant voluntarily closed for cleaning. The restaurant was instructed to clean and sanitize all food and non-food contact surfaces, utensils, and equipment that may have been affected. Facility must drain, clean, and sanitize all affected fryers and to discard any opened single use utensils that may have been affected. The restaurant closed on Sept. 19 when a griddle caught fire while in use and employee used handheld fire extinguisher to put out the fire and flames. The establishment notified Abington Fire Marshal and voluntarily closed the operation to customers and ceased all food and beverage handling at the time. The restaurant discarded all the contaminated food, condiments, and single service utensils and food service equipment, including food contact and non-food contact utensils and perimeter surfaces have been cleaned from the chemicals. They were approved to continue normal business operations. The Montgomery County Health Department was contacted by the facility after the fire suppression system had discharged and they were without hot water under pressure because gas had been turned off. The facility had closed and discarded all food items and single service items that may have been contaminated. They cleaned and sanitized the affected area. On Sept. 7, the health department granted permission to open and operate at time of inspection contingent upon all other necessary approvals. On the night of Sept. 6, mall security used fire extinguisher on burner that caught fire. The facility voluntarily closed and began cleaning and sanitizing all affected areas. No food items were in the affected area. The manager called for repairs to the fire suppression/hood system. The facility remained closed until granted permission by the health department to reopen. On August 31, the Montgomery County Health Department was called for a dish machine fire. The facility voluntarily closed during the incident and cleaned and sanitized all equipment/utensils in affected area. The dish machine was repaired by time of inspection. The health department granted permission for the restaurant to open and operate at time of inspection contingent upon all other necessary approvals.